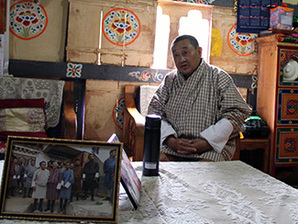 The Punatsangchhu-I hydropower project will flood Tashi Thimley’s home and farmland in Gase Tshogom village, but he refused to move away because of disputes over the compensation. Photos by Coco Liu. 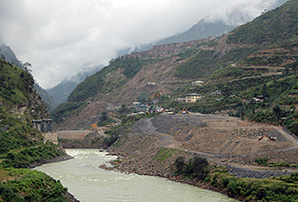 Supporters call new hydro plants the only hope of lifting Bhutan out of poverty, but opponents decry the environmental and social costs.